If you want to be your most forward self this fall, keep scrolling to see which trends to welcome into your wardrobe and which to say sayonara to. Wear these with a suede jacket and cropped denim flares. Perfect for layering or simply tucked into a pair of high-waisted trousers. This was made for dancing (and photo-taking). Prediction: This will be fall’s It Gucci piece. Could this be to fall what the straw basket was to spring and summer? Hot tip: Tibi already has so many good velvet pieces in stock. We love the contrast of the black bow against vibrant tomato red. It doesn’t get more romantic than this blush blouse. Fashion girls are obsessed with this brand. We’re embracing this comfy trend with open arms (via this wallet-friendly version). 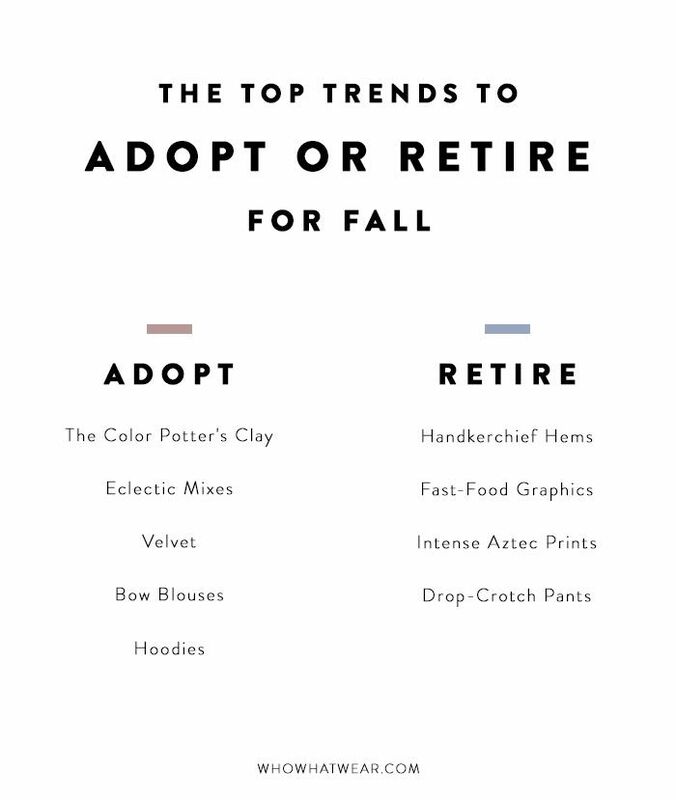 Which fall trend are you most excited to try? Tell us in the comments below!